LizCooperSoftjpgLiz is an independent professional modern dancer, aerial artist, choreographer, and certified Stott Pilates instructor who began ignoring gravity as a child by jumping on the bed, swinging off the monkey bars at school, and training in gymnastics for many years. A graduate of the Senior Professional Program of Contemporary Dancers in Winnipeg, Liz fell in love with being in the air at a low flying trapeze workshop and later trained in Aerial Fabric, Hoop and Static Trapeze. 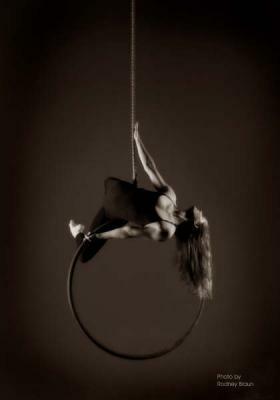 She began performing aerial circus arts in 2001 and is the head aerial instructor for Monica’s Danz Gym. The Aerial Danz Program is the first of its kind in Manitoba, offering training for all levels and ages in Aerial Fabric, Hoop, and Static Trapeze. Liz has also received additional aerial training from instructors in Toronto, at the Aerial Dance Festival in Boulder, Colorado, and at Circus Juventas in Minneapolis. As a soloist and as a member of MOMENTUM, Liz has performed her aerial choreography in many venues both locally an internationally. Highlights include the World Gymnaestrada in Lisbon, Portugal in 2003 and in Dornbirn, Austria in 2007, the Canadian Gymnaestrada in Ottawa in 2006, the Soiree Prix Riel Awards Show with renowned Winnipeg choral group Madrigaia, the Reception for the Grand Opening of Winnipeg’s new MTS Centre Arena, the gals banquet for the Juno Awards, the Nygard for Life Pink & White Ball, and the Dare to Dance Gala in Saskatoon in 2006. 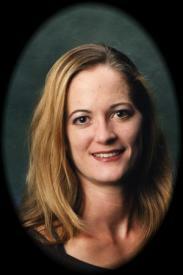 In 2005, Liz performed in Hawaii with Upside Down Dance modern dance company, and in 2006, returned to Hawaii to work as an aerial coach for IONA Contemporary Dance Theatre, training company members in aerial rope, hoop, and dance trapeze for their production of Blue. Until Liz figures out how to grow her own pair of wings, aerial dance will do quite nicely in the meantime.